We offer handicap accessible facilities. Tell us all about it! Click the logo to review our park so we can continue to improve our services. 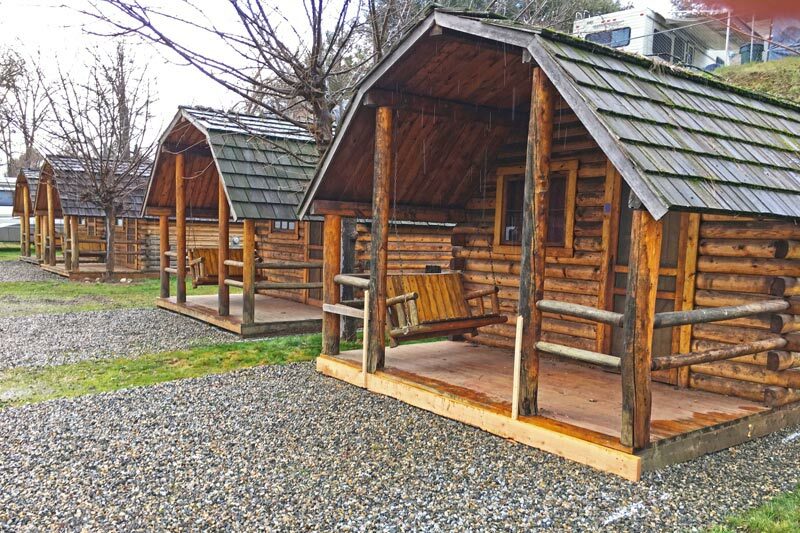 Great Rates For A Yosemite Camping Alternative! Have you ever tried reserving a campsite in Yosemite National Park? Their reservation system can be a real nightmare. When the Park Service opens reservations, 5 months out on the 15th of each month at 7am PT, nearly every campsite fills on the very first day, often within minutes! And they don’t even have any hook-ups! Why deal with Yosemite Park reservations, when you can simply pick up the phone and call us any time you want… or better yet, reserve your campsite right here! Fees include up to 4 people per cabin. Maximum number of people is 4. Fees include up to four people per site. Additional guests will be subject to a $7.00 fee per person per night. Maximum number of people is five. Fees include up to five people per site. Additional guests will be subject to a $7.00 fee per person per night. Maximum number of people is six. 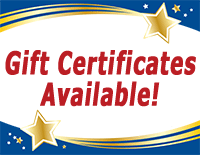 Application and Month-to-Month Rental Agreement is required to obtain rates. Monthly rate does not include trash, sewer, cable TV, electric or water. Fees include up to two people per site. Additional guests will be subject to a $35.00 fee per person per month with management approval. Maximum number of people is three. Gas, Electric and Cable TV billed through public utility company. Mobile Home Occupancy: The number of occupants of a mobile home shall be limited to two (2) persons per the number of bedrooms present in the mobile home, plus one (1) additional person. A bedroom is defined as a living space which is designed for sleeping and which has closet space, but does not have plumbing. — Recreational Vehicle Storage Agreement required. Rent Our Clubhouse For Your Next Occasion! Hold your next family event or special occasion in our cozy clubhouse... all while enjoying a Yosemite Camping experience. Call (559) 683-7662 for reservations. All RV Sites, Campsites or Tent Sites fees include up to five guests. The maximum number of guests in a RV site or Tent Site is 6. Additional guests will be subject to a fee of $7.00 per person/per night. For Health and Safety reasons, Cabins cannot accommodate more guests then indicated. 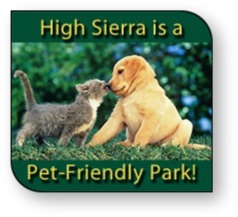 Total Number of Pets are LIMITED to 2 and if you are bringing pets along, NO aggressive dogs of any size are allowed. A $25.00 non-refundable pet-cleaning fee will be charged when staying in a Cabin. All Cabins have been inventoried. You will be responsible for any missing items or damages to the Rental Unit. A credit card deposit is required on all phone reservation, if made on-line your credit card will be charged 100% of the reservation fees at time of booking. Advanced payments are always paid by credit card. Any remaining balance may be paid either by cash or credit card upon arrival at the property. By providing a credit card number, you are authorizing us to bill your credit card, including any costs accrued while at the property, and outstanding balances not paid at time of departure. Please contact our office, (559) 683-7662, prior to the arrival date to cancel/change reservation. Cancellations for a RV Sites. Campsite or Tent Sites are subject to a minimum $10.00 cancellation fee. In addition, cancellations made within seven (7) days of scheduled check-in are subject to a penalty equal to s one (1) day reservation fee. 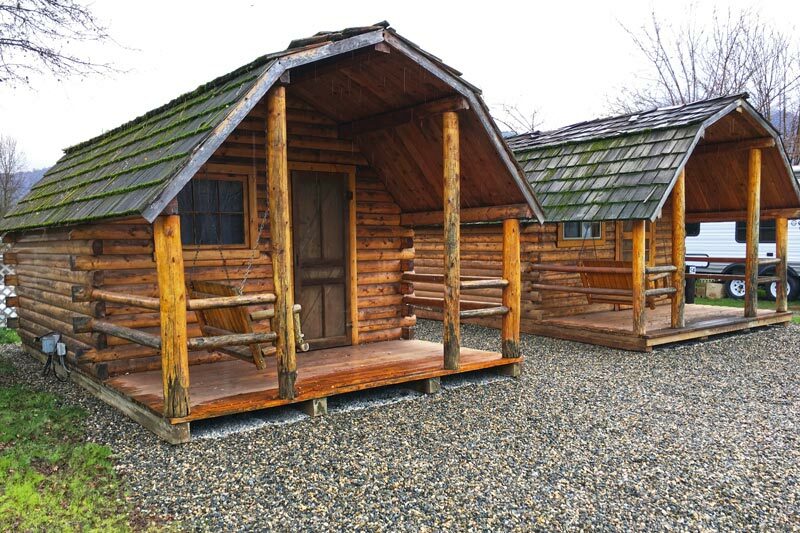 Cancellations for a Cabin are subject to a minimum $25.00 cancellation fee. In addition, cancellations made within seven (7) days of scheduled check-in are subject to a penalty equal to a one (1) day reservation fee. Please contact the property for cancellations or to make any changes to your reservation. Cancellations must be made prior to the arrival date of your reservation. If cancellations or changes are not made as indicated above, your reservation is subject to a penalty equal to 100% of the total reservation. Service charges may apply for changes to your reservation. One change to your reservation is allowed without incurring a service charge; all subsequent changes will be charged $5.00 per change. We will process your return to your original form of payment.